Fun awaits you at Stoner's Dairy Farm & Corn Maze. Whether visiting with a school group, exploring the corn maze under the stars, or just enjoying a beautiful autumn day in Franklin County, Pennsylvania, you'll find Stoner's Dairy Farm a memorable experience. We offer country-fun activities suitable for every age. Get "corn-fused" in our 5-acre themed corn maze. 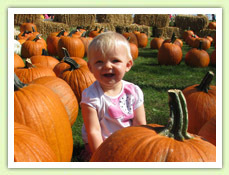 Shop for pumpkins, gourds, straw bales, and corn shocks to compliment your fall dêcor. Don't forget to take a stroll thru our 550-cow free-stall barn or visit our baby barnyard. We look forward to your visit in 2018. Stoner's Dairy Farm & Corn Maze events!